Las Vegas professional sports have been nonexistent since the town was incorporated in 1911, but that could soon change, as the gambling mecca now has the attention of all four major pro leagues in the United States. 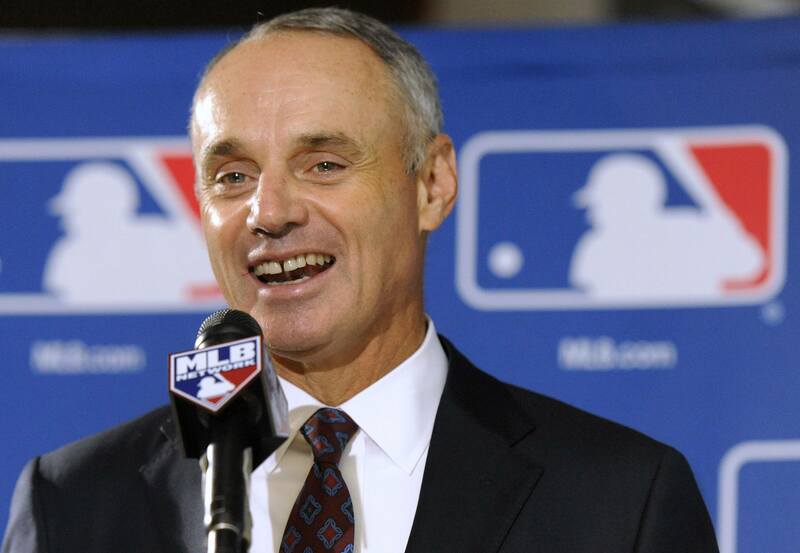 This week, Major League Baseball (MLB) Commissioner Rob Manfred expanded on his public interest in Sin City. 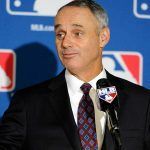 Speaking at a press conference in Phoenix for the Cactus League, the spring training arm for 15 teams in MLB, the top official told reporters that Las Vegas could be an ideal home for a professional baseball franchise. Las Vegas is one of the largest cities in the US to never play host to a major professional sports team. The “Big Four,” the NFL, MLB, NBA, and NHL, have long stayed away from the Mojave Desert due to the widespread legalized sports gambling markets. Only three cities, all of which are in Texas, Austin, Fort Worth, and El Paso, have larger populations than Vegas and have also never been home to a major sports franchise. The NHL has taken the lead and decided to expand its league with the Las Vegas Golden Knights, which will begin play in the 2017/18 season at MGM’s new T-Mobile Arena. Hockey going to Vegas has seemed to persuade the three other majors to slowly but surely change their gambling stances. NBA Commissioner Adam Silver has spoken publicly about his opinion that sports betting should become a legalized activity throughout the country. “I think it should be legal; I think it should be regulated; it should be transparent,” the basketball boss said last year. With T-Mobile an ideal venue to host a basketball team, Vegas is turnkey ready for the NBA. That isn’t the case with the NFL, but according to new reports, financing is once again in place to build a $1.9 billion stadium to relocate the Oakland Raiders to the Strip. Though NFL Commissioner Roger Goodell remains adamantly opposed to Las Vegas professional sports, and has stated he would like to see the Raiders remain in the Bay Area, three of the four other top sports officials have embraced Sin City. It’s a stark contrast from previous administrations. 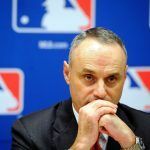 Manfred added this week that legalized gambling is no longer an issue for professional baseball, but there is a growing movement to urge Congress to repeal the Professional and Amateur Sports Protection Act of 1992 (PASPA). Should the federal statue that outlaws sports betting be removed, odds and lines would come to casinos and horse racetracks throughout the US.